...I needz kitteh yoga. It's a bad day when all you have to post are lolcat pictures. But cute and fluffy are what I can process today. Tomorrow I'll be all cutting-edge cynical and crazy topical. 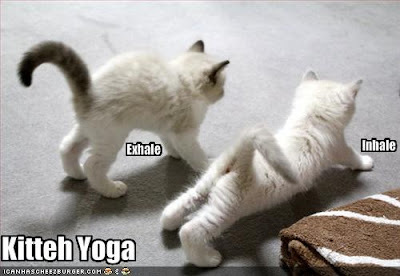 Right now I'm going to go do some Downward-Facing Cat.